Realm is a wonderful and unique two-person abstract strategy game invented in 1973. 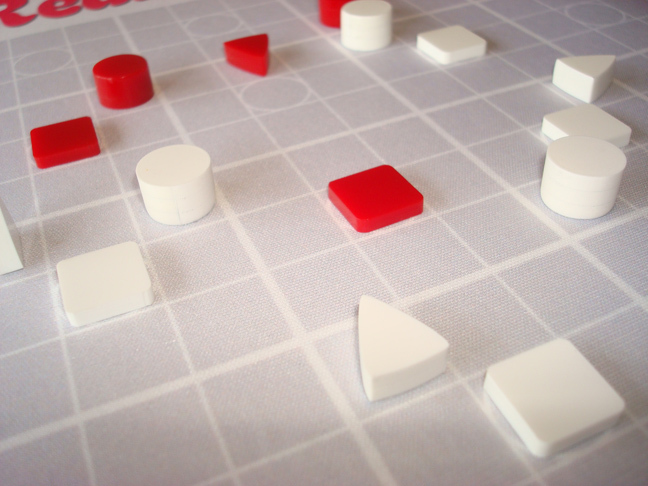 It involves capturing territory and blocking and immobilizing the other player's pieces. New pieces are generated and added to the game as the game progresses, and strategy and objectives dramatically change through the course of the game. A few rules generate a game of great complexity and depth. 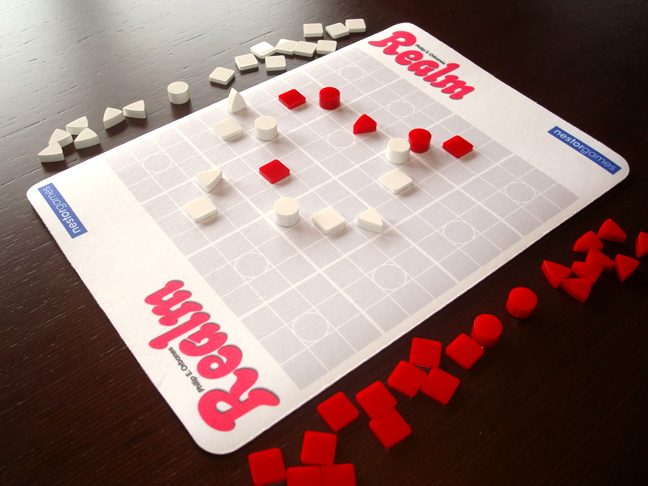 With the special Realm board and pieces you can play some other quicker-playing games, too. These versions range from easy to challenging and appeal to players of all ages. 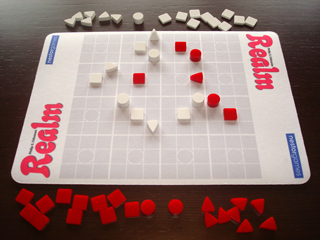 Components: Case, board, 4 white powers (circular), 9 white enforcers (triangular), 14 white bases (square), 4 red powers (circular), 9 red enforcers (triangular), 14 red bases (square). 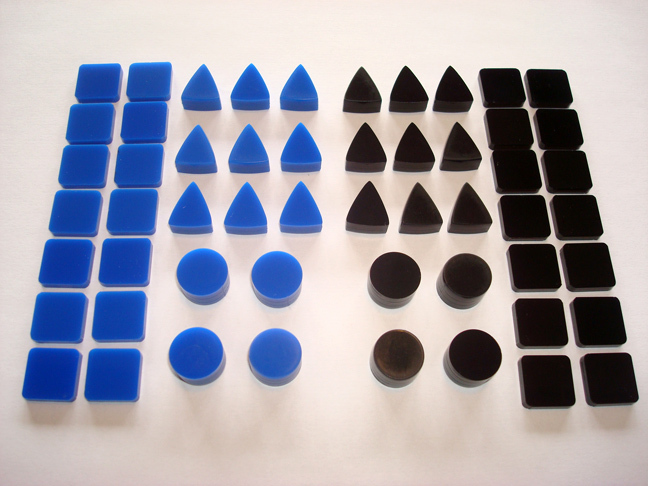 You can also purchase an extra set of pieces (blue and black) in order to play some 4 player games that might have been designed for this set or to invent new ones!